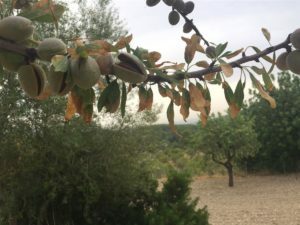 The European Commission has updated the list of host plants found to be susceptible to Xylella fastidiosa in the territory of the European Union. The database now contains four categories of host plants in relation to the subspecies associated to the host infection(s). 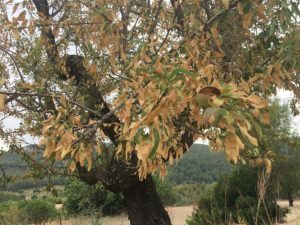 The European Commission Directorate General for Health and Food Safety released, on July 28, 2017, the ninth update of the database of the host plants, susceptible to Xylella fastidiosa, so far detected in the EU territory. The database classifies the host plants according to their susceptibility to strain(s) of the subspecies so far reported in the EU territory, i.e. pauca, multiplex and fastidiosa. The new released version adds a fourth category, which includes the plant species that represent common hosts for the three above-mentioned subspecies, i.e. host plants found to be susceptible to Xylella fastidiosa – irrespective of the subspecies. This is the case of Nerium oleander L., Polygala myrtifolia L., Prunus dulcis (Mill.) D.A. Webb, Rosmarinus officinalis L. and Lavandula dentata L., in addition to the already present Coffea spp. In addition, this updated version includes new hosts of X. fastidiosa for the EU territories, like grapevine (Vitis vinifera) host of X. fastidiosa subsp. fastidiosa, and fig (Ficus carica L.) host of X. fastidiosa subsp. multiplex; indeed olive (Olea europea L.) and European plum (Prunus domestica L.) are now listed as new hosts of X. fastidiosa subsp. multiplex. The full database is available at this link and in the section “Legislation” of XF-ACTORS website. Pictures: Foliar desiccation and severe leaf scorching on an almond tree infected by Xylella fastidiosa subsp. fastidiosa in the island of Mallorca (Spain). Courtesy of B. Landa.